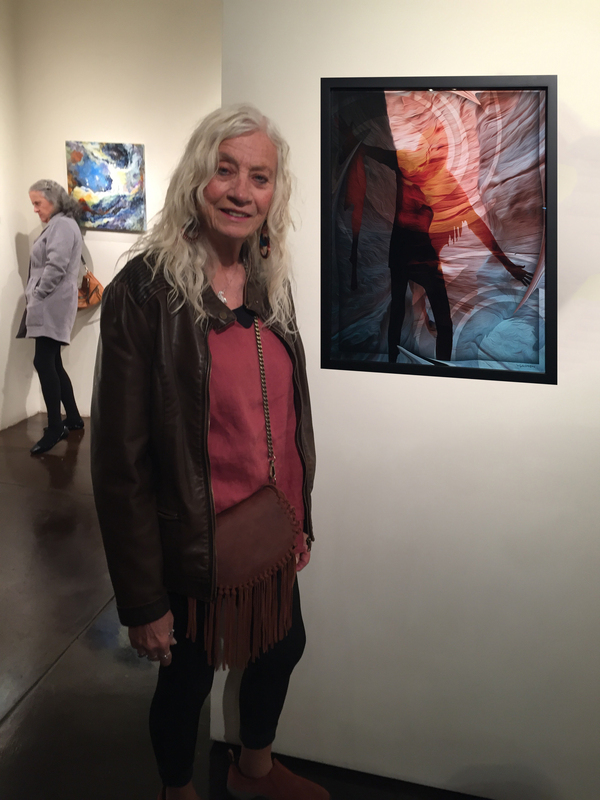 My digital painting, Embracing the Unknown, was recently featured with the work of 50 other Santa Fean artists in a new exhibition sponsored by The City of Santa Fe Arts Commission. “Wish You Were Here” opened on Friday, November 4, 2017 and will run through December 4th at the Santa Fe Community Gallery. Originally created for a self-portrait show this fall at Gallery35 in NYC, the work depicts my shadow with outstretched hands cast on the walls of a slot canyon at Tent Rocks, NM—a metaphor for all the life-changing decisions I have made despite uncertain outcomes. The piece also directly relates to the theme of this show. Artists were asked to submit work which answers the question: “When a visitor comes to Santa Fe, what is the one thing they must experience?” Since most of my Santa Fe inspired art had very recently been exhibited just blocks away in a month long solo exhibit at the Tybie Satin Davis Gallery, I chose to show this piece which was not a part of that exhibit. Tent Rocks is a popular destination for visitors and residents of Santa Fe. The unique tent-shaped rocks coupled with dramatic slot canyons are an artist’s paradise! November 4 – December 4, 2016.